Real estate often seems to be the "ugly stepchild" of the personal finance community. It's not just for the rich. It's not just for the old. It's not just for the risky. Real estate investing can be right for you, now. It can take years off your day job, add thousands to your net worth, and be a lot of fun. 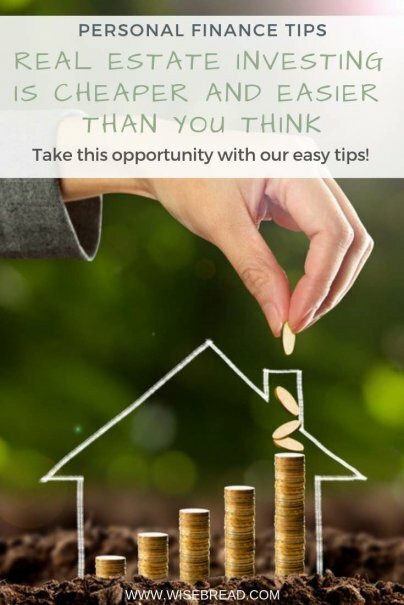 This post is going to explore the basic process for getting involved with real estate investing and hopefully, will take some of the mystery away so you can see real estate for what it is: an opportunity. First, let's talk about why you should even get involved with real estate in the first place. For me, there are several key reasons. Remember as a child when you played on the see-saw and you discovered that by sitting further back or closer to the center, you could affect how much weight you could lift? (Am I the only one with that memory?) Or perhaps you've heard the famous quote from Archimedes who said, "Give me a lever long enough and a fulcrum on which to place it, and I shall move the world." The point is, leverage is the ability to use a small amount of force to move a much larger object. In real estate, the same principle is true in terms of cash. By using just a small amount of cash (a down payment) you can control and reap the benefits (and the risks) of an entire property. In other words — if you wanted to buy $100,000 worth of gold, you would need to have $100,000. However, you can buy $100,000 worth of real estate with far less than $100,000 — sometimes as little as nothing down. There are a lot of different ways you can invest in real estate, which we'll cover more specifically in a moment. The benefit of this is that you will be able to find an investment strategy that works for you, that will fit your personality, and which will work within your time schedule. There is an absurd amount of variety within real estate, which makes it even more fun to deal with. Yes, there are avenues to invest in real estate on paper only — but I love the diversity of it. I'm not just looking at numbers on a page — I'm looking at real people, real money, real life. Finally, one of my favorite aspects of real estate investing is that when structured correctly, real estate can boost your checking account both now and in the future. How Is Money Made With Real Estate Investing? Asking this question is a bit like asking "how do Americans make money?" There are numerous different avenues to create wealth and income with real estate, and as I mentioned earlier — much of it depends on your personality and the way you want to run your investments. However, the following four streams of wealth are the most popular methods you'll see today. What if you bought two rental houses? What if you bought a fourplex? What if you bought a 100 unit apartment building? Suddenly, we're talking about some pretty serious dough here! Obviously, most people don't jump from owning nothing to owning a 100 unit apartment complex, but the math is the same no matter the scale of the property. To top it all off — remember the concept of leverage from earlier? You don't need millions of dollars to start making monthly cash flow from real estate investing, when you have the right leverage applied. And don't get me started on how powerful "compound interest" is when you start to recycle this cash flow back into more investments! The second way people build wealth in real estate is through appreciation — the rising of property values. In the past, I believe investors placed far too much emphasis on appreciation and not enough on cash flow, so when the real estate market collapsed several years ago, a lot of people lost their shirts. Furthermore, each and every month you hold onto the property, your loan balance decreases, so in essence — your tenants are paying down the mortgage for you automatically. If nothing else, in thirty years (or less, depending on how long your mortgage was for) you'll own the property free and clear! If you've ever watched one of the "flipping" TV shows, you'll recognize this strategy. House flipping is the process of buying a distressed property, rehabbing it, and reselling it — hopefully making a profit on the difference. Flipping can be one of the more risky ways to invest in real estate but with some of the highest potential for financial reward. Although flipping is more closely associated with the "buy low, sell high" model of a retail shopping store, many of the same real estate investing principles are used to make a profit in this line of work. Up until this point, we've dealt primarily with the more "active" forms of investing in real estate. However, many others choose to invest in real estate from a purely "passive" viewpoint, focusing instead on simply earning a good return on investment for their money. Primarily, there are two common ways to make this happen. REITS: A REIT, or Real Estate Investment Trust, is a security that can be bought and sold like a stock, but that uses the raised funds to invest in real estate, primarily large commercial properties. REITS can invest in either property directly, or in mortgages on property that other investors own, and the best part is that by design, they are required to pay out a dividend. Notes: Other investors invest in Notes (also known as "paper" or "mortgages") to earn a solid return on investment. You may have had some experience with this in the past if you've ever had a mortgage on your own home "sold" to another company. Mortgages are bought and sold all the time, though the borrowers seldom recognize this because it doesn't affect them. Let's move from the theory and jump into some of the practical ways you can get started investing in real estate. Although you may be excited to jump in and start buying property, the first step is actually to sit back, relax, and make a plan. A plan is like a road map — it tells you the best way to get from A to B and how to avoid the dead ends, tourist traps, and potholes. Finally, look at the place you want to arrive at. Is it a million dollars in the bank? $10,000 per month in cash flow by the time you retire? Whatever your goals are, write them down. Then, simply work backward, using the knowledge you gained from your education to determine what you need to do to get there. For example, if your goal is $10,000 per month in passive income in the next twenty years — and your plan is to buy single family homes that cash flow $200 per month, how many houses do you need? How many is that per year? How much down payment will that require each year? To learn more about getting started with real estate investing, check out The Ultimate Beginner's Guide to Real Estate Investing that we put out earlier this year. Real estate investing can have a tremendous impact on your financial future if you take the time needed to learn how to best get started. Whether you have millions in the bank or just getting started — I believe real estate investing can and should be a significant part of your portfolio. Use this post as a springboard to your education. The more you learn about real estate, the more you'll see it's not the ugly stepchild of personal finance, it just might be your new best friend. Joshua Dorkin is the Founder and CEO of BiggerPockets.com, the real estate investing social network, marketplace, and information hub, and is the host of the popular BiggerPockets Podcast. Josh built BiggerPockets to help find answers for his own real estate investing questions, and in the process has helped millions of others. I have to argue just a bit with your investor control point. You can't control the behavior of your tenants, for instance. And you can't change the local economy that affects values of properties and rents you can collect. And any of us who have been landlords might argue with your title. However, for people who are interested in exploring hands-on real estate investment, I'd suggest buying a home with an accessory apartment. The terms are much more favorable for a homeowner than they are for an investor. And a property with up to four units is considered a single family dwelling as long as the owner lives in one of the units. They are still considered a single-family dwelling even if the owner doesn't occupy any of the units, at least in Saskatchewan. I agree with you about suites though, basement suites are very popular here and you can get a lot more in rent when renting out 2 suites (a main floor and a basement) than a house as a whole. Obviously you're axing a portion of your potential market with that, as families typically will want an entire house, but there's plenty of students and single, working individuals to draw from. As a Realtor, that's the route I recommend for most beginning real estate investors.